In collaboration with the architects Sheppard and Rout, Ingrid Geldof Design successfully integrated the kitchen, bathrooms and robes into this fine home. 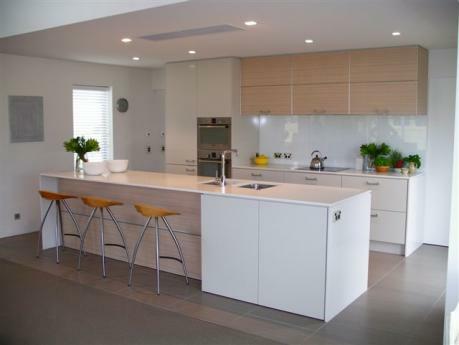 Use of blond Oak and white lacquered joinery gave a sense of lightness. Functionally the home works like a dream and the client finds it wonderful to live in.